Before I even set eyes on the Griso 1200 I already had preconceived notions of how bad it was going to be. I mean, pretty much every Moto Guzzi rider that I’ve ever spoken to can’t help but mention just how quirky of a motorcycle they are. Sure there are good points, but they are most certainly followed by an even longer list of negatives. But from the moment I saw the Griso in person I was in love. Simply put, this is a gentlemen’s motorcycle. Its elongated low-slung shape resembles that of a sleek European coupe. Like its American counterpart, the Griso imparts old fashioned styling cues like an oversized front headlight and huge diameter exhaust pipes. However, in the performance department it takes things a step further with its Superbike-derived Marchesini wheels, wave-style brake rotors, radial-mount Brembo front brake calipers, and stainless-steel brake lines, not to mention 3-way adjustability (spring preload, compression and rebound) from its suspension components front and rear. It’s also uses a very stylish single-sided swingarm. Despite the Moto Guzzi Griso’s five-plus-foot wheelbase, getting it changes directions well. Hop aboard the Moto Guzzi Griso and you’ll feel immediately at home. 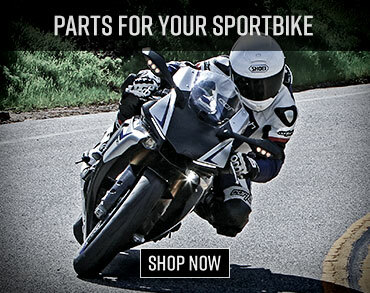 That is, if you’re an avid sportbike rider. Although its comfy wide seat keeps you upright like the Harley, its elongated stretch to the aluminum handlebars keeps you in forward command. Riders with short arms might find it too much of a stretch but for us it was perfect. The footpegs are also sport-biased and unlike the quirky position of the XR’s the Guzzi’s are mounted high and rearward, albeit at a lesser degree than a sportbike. Lift the Griso off of its sidestand and you’ll notice how much less effort it takes as compared to the XR. However, oddly enough the Griso’s kickstand is mounted so far forward that getting the stand to retract requires some serious left leg stretch even for a rider endowed with above-average height. Prod the red starter button and the Griso’s unique traverse-mounted 1151cc V-Twin motor shakes to life with enough lateral torque force to shake you from side-to-side. Reach out to the hydraulically-operated clutch, tap down on the gear-shift lever and it’s time to go for a ride. Although utlizing impressive components, the Moto Guzzi Griso braking performance isn’t very inspiring. The level of engine vibration is almost identical to the XR except for the fact that the XR shakes from front-to-back and the Guzzi vibrates from side-to-side. Some might consider the vibration to be excessive, but again, it’s what makes this type of motorcycle so intriguing. On the road the Moto Guzzi Griso’s 90-degree Twin provides adequate amount of torque down low yet it’s nowhere near as snappy as the Harley. That, coupled with the Griso’s taller final-drive gearing, necessitates a minor amount of clutch slippage to get moving from a stop. Keep the throttle pinned for a few more seconds though and as that tachometer needle hits that magic 5500 rpm mark the Griso rockets forward akin to that of a 250cc 2-stroke dirt bike. 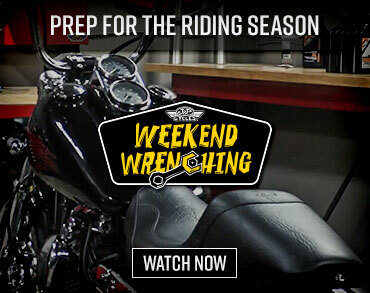 From there the engine spools up at an ever increasing rate, delivering 80-plus horsepower from 6200 rpm and up 90-plus horsepower from 6800 rpm until its 8500 redline (the Sportster’s peek hp output is 78.6 @ 6900 rpm). The entire time a marvelous mechanical clamor fills your ears as you rocket forward in what feels like hyperdrive. The massive surge of acceleration can be attributed to the Griso’s 8-valve cylinder heads that each use their own camshaft powered by a gear-driven timing chain. Just like the Sportster, the Griso makes use of 50mm throttle bodies and electronic fuel-injection. However it doesn’t feel quite as sorted as it does on the big XR. Adding to its less connected feel is its heavy shaft final drive. The Guzzi’s engine revs out so fast that it’s crucial to keep the engine from falling on its face at redline. Fortunately the Guzzi’s six-speed transmission is up to task. In lower rpms gearshifts are much more notchy and borderline on abrupt when compared to the H-D, but if you shift closer to redline it feels much smoother. The Moto Guzzi Griso has considerably more ground clearance the the XR. In fact, we never encountered any hard parts drag on the pavement. With its five-foot-plus wheelbase, on the highway the Guzzi delivers an exceptionally smooth ride. It glides over road imperfections and delivers the rider to his destination comfortably. The seat is another plus, which makes the Guzzi the preferred bike for long distance rides. But don’t let its easy highway manners fool you, because in the corners this bike gets down. Despite its long and wide chassis dimensions the Griso change directions much better than a 551 pound motorcycle should. Initially it takes slightly more effort to get the bike turned as compared to the Hog, but once it reaches a certain turning threshold it falls right into the corner. So much, in fact, that in slower corners its quick-handling attributes can actually catch you off guard. Like the Harley, the Griso utilizes a 43mm inverted Showa front fork. But the one on the Moto Guzzi Griso adds the ability to adjust spring preload, compression and rebound, just like you’d find on a contemporary sportbike. The gas-charged Sachs rear shock absorber offers the same amount of adjustability, allowing a rider to tailor the bike’s ride. 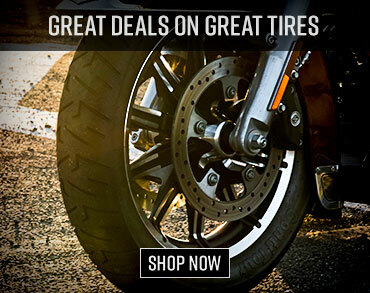 Ground clearance is also superior to that of the Harley. During the course of our ride we never touched down any hard parts despite the bike’s ground hugging profile. We assumed that since the Griso is so long that it would equate to a massive amount of stability at lean, and while the Griso isn’t by any means unbalanced, it is not as composed as the XR. The Moto Guzzi Griso is a nimble handler despite what its 551-pounds would leave you to believe. “The Griso lacks the outright stability of the Harley. When you’re on the Harley you feel like you’re on this solid piece of metal, but on the Griso it feels a bit more flighty. Even when you’re cruising in a straight-line it doesn’t feel as solid as the Harley,” surmises Hutchison. When you compare the sum of each motorcycles braking components you’d assume that the Griso would provide superior performance hands down. And while the Griso’s brakes top the XR’s, it isn’t by much. Like the Harley, two fingers and a substantial amount of lever pull are required to haul the Griso down from speed. Add in the fact that the Griso’s smaller rear disc brake doesn’t have the same stopping power as the XR and rapid deceleration requires much more effort than it should. We presume that the culprit is an underpowered brake master cylinder and/or less-aggressive set of brake pads. The Griso’s instrumentation consists of a single multi-function display with a swept tachometer flanked by a digital speedometer. Above this sits a clock and ambient air temperature meter. Towards the bottom there is a fixed odometer and beneath that the rider can view a variety of different functions, including dual trip meters, maximum/average speed, fuel mileage, chronometer and battery voltage toggled via a hidden left-side handlebar mounted button.